We’ve learned a considerable amount since opening the brewery some 5 years ago. We’ve learned a good deal about ourselves, we’ve learned a great deal about our beers and we’ve learned, countless times, that we still have a lot to learn. We have recently been expanding some of our scientific analysis capabilities in our lab at Hops & Grain Brewing. We’ve been searching for knowledge and better understanding of our process since day 1. As we’ve grown and learned more about the parameters that are important to the quality of our beer we’ve realized that sometimes very specific equipment is necessary to take our understanding to the “next level” as it were. This post in particular is intended to introduce you all to the analysis that we perform on a daily basis in our science laboratory. Science! The latter portion of this post is to announce a new form of measurement that we are implementing at the brewery that goes far beyond the capabilities of any form of laboratory equipment. But, let’s get to the laboratory first. 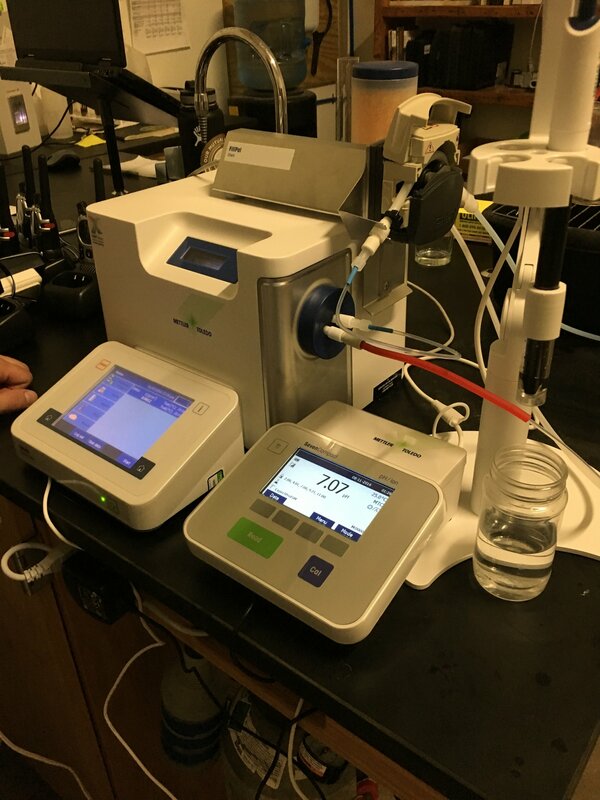 Simply put, this fancy piece of equipment takes wort and beer samples and analyses the DNA to detect for specific DNA markers that would indicate the presence of beer spoilage microbes. 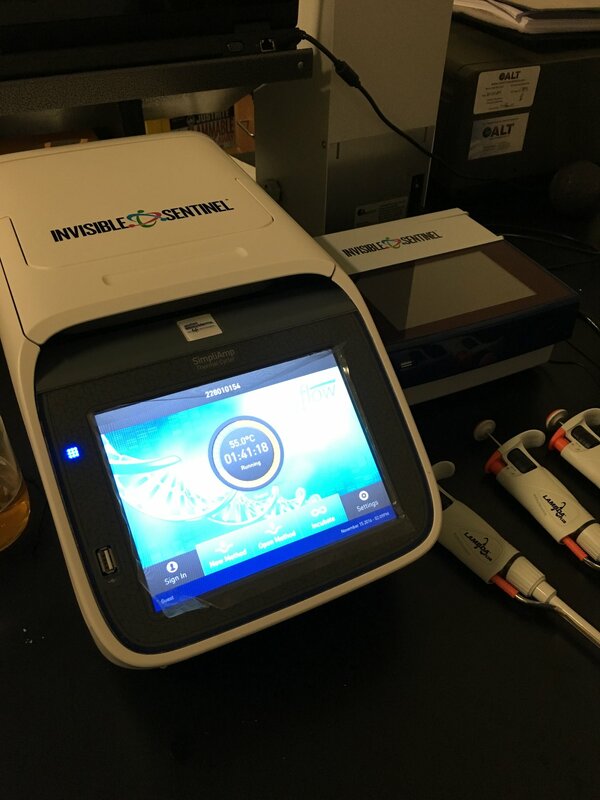 The process is much faster than traditional PCR analysis. 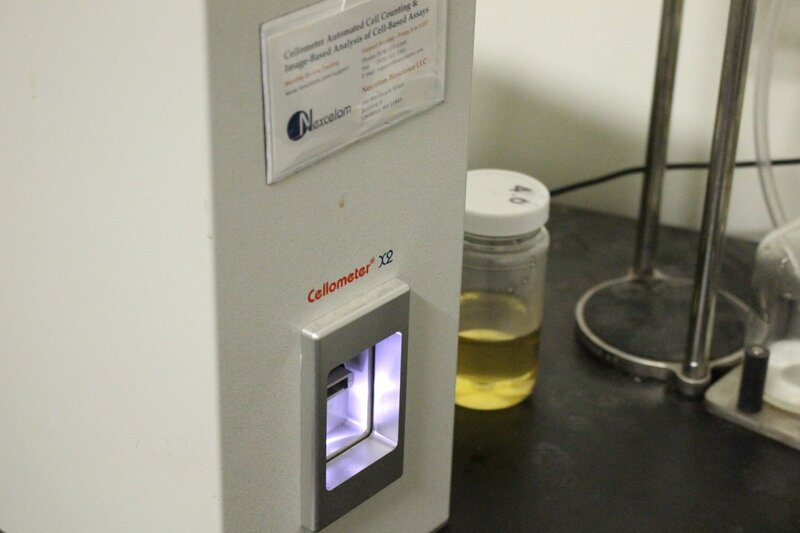 We can prepare a sample and have a result in roughly 3 hours, enabling us to measure our product at critical points in process to ensure the quality and stability of our products but also potentially save us from packaging beer that might be infected, thus wasting packaging materials and time. While this has not been a problem for us, we firmly believe in staying ahead of the infection game and this piece of equipment is crucial for not only piece of mind but also adhering to our own East Austin purity law. The downside is that it keeps taking me back to that time that I was on probation and had to take a urine test once a month. But I wouldn’t hear back from my PO until 3 days later with the results. That feeling of anxiety, just waiting to hear back, is similar to the emotion that ensues during the 3 hour waiting window. Outside of the above mentioned equipment we employ many different forms of beakers, pipettes, Erlenmeyer flasks and a whole host of other gadgets, gidgets, whatsohavits and whatthehellsits. Bottom line, our lab is a place that provides us with information and lots of it. If you have any interest in learning more about the reasons for our lab feel free to drop into the Hops & Grain Brewing tap room anytime and find me, I’ll be happy to spend hours explaining. But be warned, I used to be a 7th grade science teacher and I really like to tell stories so come prepared. At Hops & Grain Brewing we’ve been searching for that very specific measurement to tell us exactly how “good” our beer is. That’s right, how good is it. So we devised a simple rating system, measured form 1-1,000. At the top of the scale, a 1,000 means that the beer is As Good As It Gets. At the bottom end, a 1 means that the beer is Not As Good As It Gets. And I’ll be the first to say that we are very proud of this new measurement system. It’s precise, concise and void of any potential outside influence. So don’t be surprised when you visit the tap room at Hops & Grain Brewing and ask “what’s your best beer” and we reply with a spreadsheet showing the AGU levels of each of our beers so that you can use your own critical thinking skills to determine what to order. It’s an honest system and doesn’t cost the many thousands of dollars that the other stuff we use to analyze our beer costs. It’s like the ultimate measure of quality but measured in a simple system of AGU’s, American Good Units.